Image courtesy James Gathany, Sanofi Pasteur, Flickr (CC BY-NC-ND 2.0). Researchers in Pakistan have shown that mobile phone data can be used to better understand how dengue fever spreads. Using mobile phone data to track people’s movements can help predict how dengue fever spreads, epidemiologists have shown in Pakistan. The disease only appeared in northeast Pakistan in recent years, after being “largely confined” to the southern city of Karachi, the study says. As the transmission of the virus that causes dengue fever is partly driven by human travel, analyzing how people move across the country allows researchers to predict when and where epidemics may break out. In a study published in the Proceedings of the National Academy of Sciences*, researchers teamed up with Telenor, a Norwegian mobile provider that operates in Pakistan, to analyze call records from about 40 million subscriber SIM cards in the last seven months of 2013. Caroline Buckee, a coauthor of the paper and epidemiologist at the Harvard T. H. Chan School of Public Health in the US, says her team only had access to anonymized, aggregated data on the number of mobile users moving between base station transmitters, rather than individual call records. 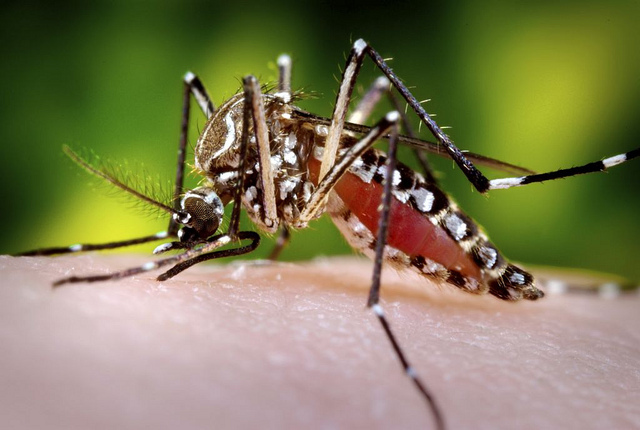 The researchers used this data set to create a mathematical model of travel patterns, which they combined with clinical and climate data to model dengue dynamics. Then, they applied the model retroactively to predict the likely location and timing of epidemics across the country. The travel model predicted the geographic spread and timing of outbreaks in 2013 in both recently epidemic and emerging locations, the paper says. For example, it showed a good overlap with the actual pattern of the first dengue cases in the northeastern cities of Lahore and Mingora. Kenth Engø-Monsen, a senior data scientist at Telenor Research who coauthored the paper, says the study is a “proof of concept” with encouraging results. The authors write: “This approach provides policy-relevant, real-time information about where and when to expect dengue epidemics and therefore how to effectively target interventions, surveillance and clinical response.” But they concede that the study excludes international travel patterns, which play a role in dengue transmission. “The use of mobile phone records and big data analysis are an innovative approach to map human movement,” say Josefina Coloma and Heather Zornetzer of the ICT for Health Program at the non-profit Sustainable Sciences Institute in the US. “The data obtained in Pakistan seems an accurate representation of general patterns in that country,” they write in an email to SciDev.Net. They add that predictive models are needed for early warning systems as dengue grows worldwide, but that there is no “silver bullet” for control and prevention. Buckee says the same approach could be applied in other places. “Pakistan is an archetype of a lot of emerging places … that are on the edge of endemic transmission,” she says. The researchers say they have been looking to apply the same approach to other Asian countries and to diseases such as measles, malaria and influenza. This article is republished from SciDev.net (CC BY 2.0). This article has been modified to conform to the style guide of The Science Node. The original version is available here. Interested in learning more about what can be done with mobile phone data? Discover how it's being used for traffic management and urban planning in our recent feature article 'Sifting big mobile phone data predicts your next move'. *Free access to users in developing countries.